Thank YOU! to all our participants! SUBMIT ART to the FAIR WAGE GRAPHIC CONTEST! 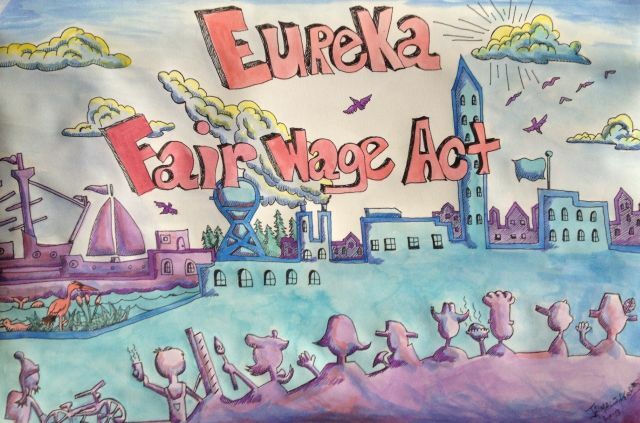 Announcing the FAIR WAGE GRAPHIC CONTEST The Eureka Fair Wage Act, a peoples’ initiative, which will require large employers in Eureka to pay a $12 minimum wage, is expected to be on the ballot in March. 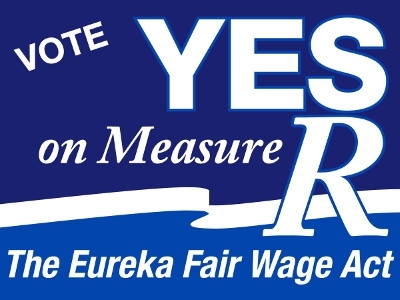 The Eureka Fair Wage campaign is offering a $100 award to the person who submits a great graphic for use on fair wage posters and lawn signs. Please include your name and a way to get in contact with you. 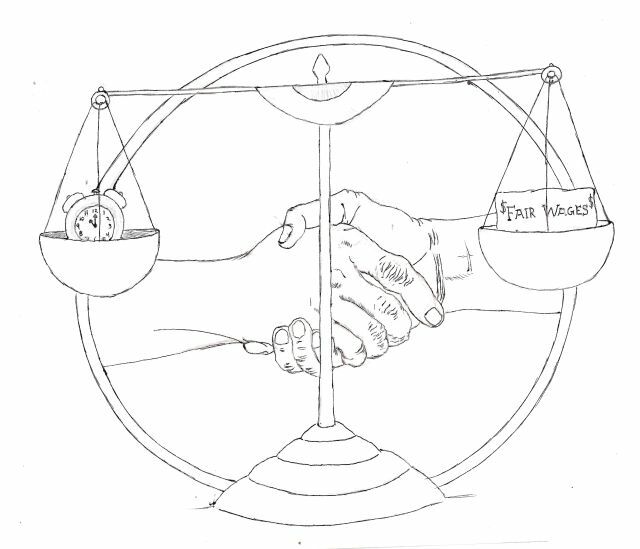 All contest submissions must be in by January 10th and the winning graphic will be announced at the Eureka Fair Wage benefit show, featuring local honky-tonk band Rooster McClintock, later in the month. Second and Third place prizes will also be announced at the benefit. You need not be present to win. Check out fairwages.org or call 707.442.7465. Contest participants do not need to be residents of Eureka. Use your artistic talent to help raise wages!! And win $100 doing it! 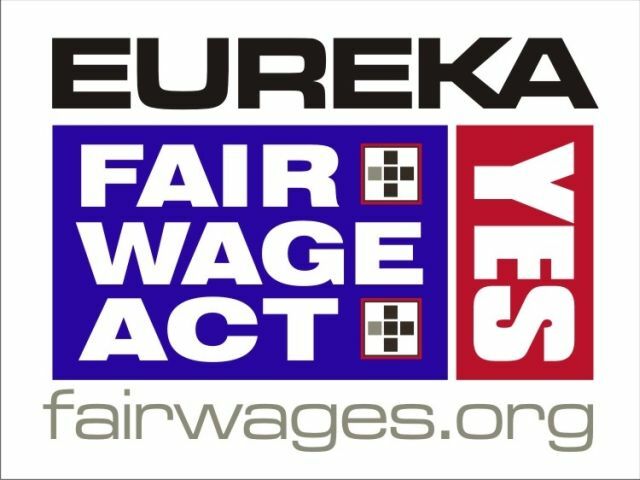 ► All submissions become the property of the Eureka Fair wage Act campaign for use in the campaign website and printed media. Artist retains all other rights. ► Contest winners will be announced on January 19, 2012. Need not be present to win. Questions? email info@fairwages.org or call 707.442.7465.